Charities across England will have the opportunity to improve their digital skills through a new £1 million digital training fund for the sector, Culture Secretary Jeremy Wright announced today. The Digital Leadership Fund will give industry leaders’ free access to training or heavily subsidised courses to boost their digital skills and develop a wider understanding of how technology can help them fulfil their mission. Skills Minister Anne Milton announced on 12 October 2018 the first 37 providers to receive funding from the Taking Teaching Further (TTF) programme, which has been set up to help recruit the best and brightest candidates from industry into the post-16 and further education workforce and support an ongoing exchange between industry and FE. The colleges and providers, in areas ranging from Cumbria and Northumberland to Kent and Norwich, will aim to recruit the country’s first 80 TTF teachers from specific sectors and encourage them to retrain to work in those institutions. Alongside the support to train new teachers, 20 innovative projects are also being funded totalling over £900,000 to explore how industry and the further education sector can work together to make sure students gain the knowledge and skills businesses really need. Taking Teaching Further was launched in June as a pilot programme to further boost the quality of the post-16 teaching workforce by bringing in more diverse experiences and skills. Students all over the country are preparing to go off to university and it could be time to see if they are eligible for additional support in higher education. Getting a degree is a huge challenge for every student but some students face additional challenges and barriers. You could be eligible for extra help from your university and the UK Government’s Disabled Students’ Allowances. Use the free HE Support Checker to find out if you could be eligible for extra support at university due to a health condition or impairment. This is entirely anonymous, and you do not have to supply any personal information. What support could you get? There is a little over 2 weeks until the deadline to send your Expressions of Interest in the GEO Returners Fund. The deadline is 14th September 2018, whilst the application window for full applications has been extended with a deadline for their return of 9th November 2018. 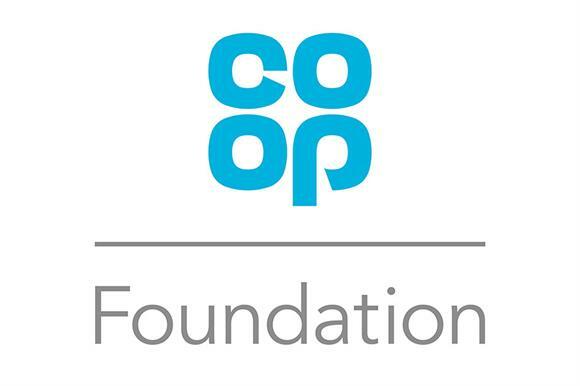 The £2m youth-focused strand of the Building Connections Fund will be distributed by the Co-op Foundation. Charities and community groups dealing with youth loneliness can now apply for grants of up to £80,000 from the strand of the Building Connections Fund run by the Co-op Foundation. The Prime Minister announced the £11.5m Building Connections Fund aimed at reducing loneliness in June, with £9m of it due to be distributed by the Big Lottery Fund, and £0.5m going towards evaluation of the scheme. The remaining £2m will be distributed by the Co-op Foundation and will specifically focus on loneliness among young people.